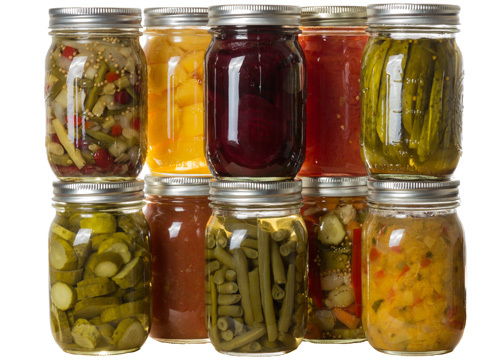 Quantity: An average of 28 pounds is needed per canner load of 7 quarts; an average of 18 pounds is needed per canner load of 9 pints. A bushel weighs 32 pounds and yields 6 to 10 quarts – an average of 4 pounds per quart. 2. Shell beans and wash thoroughly. Cover beans with boiling water and heat to boil. Fill jars loosely, leaving 1-inch headspace. Small beans – leave 1-inch of headspace for pints and 1-1/2 inches for quarts. Large beans – leave 1-inch of headspace for pints and 1-1/4 inches for quarts. Add boiling water, leaving the same headspace listed above.